Employee data can be deleted by employee themselves, their managers or HR Ops in Employee Central based on the permission granted to them.This blog explains data for which portlets can be deleted and how those deleted data records can be retrieved for cases where there is a requirement to sync those deleted records in the downstream systems.The permission to delete these portlets is mostly driven by RBP and its organization specific settings. There are various scenarios where an employee can delete personal data. For example, consider a scenario where the employee has updated his/her personal email id and personal cell number in the morning, these data sent down to a downstream system via an automated interface which picks only “delta” data( i.e employee data changes since last interface run).However, the employee later realizes that the data he/she maintained earlier is NOT correct, so instead of correcting it, he/she deletes the entire personal email/phone row and enters a new record with correct information this time. So next time when the interface runs, it should send both the deleted email/cell as well as new email/cell detail. Another example is, the employee enters a “home” address which is sent to the downstream system. But then the employee realizes that the address should be “mailing” address instead.employee deletes the home address and inserts a new record for mailing address.So in SF database, 2 records would exist, home address tagged as DELETED and mailing as “INSERT”. Data for foundation table are generally not deleted instead delimited. Also as of 2017 Q3 release, I don’t think there is any API which can extract deleted foundation table records. How the deleted records can be retrieved? Deleted records from SAP can be retrieved either by audit report ( not part of this blog) or by using SF API CompoundEmployee ( in Delta mode).Check SAP Help to know more about “Compound Employee API – Delta Transmission. 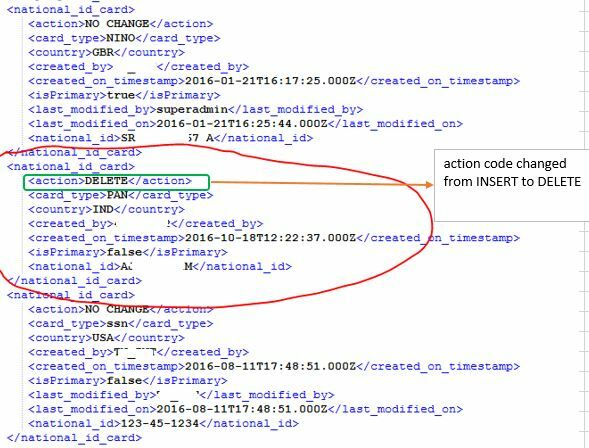 An employee enters a new national ID card (PAN for India), the below diagram shows how the data will look like in the CompoundEmployee API delta mode XML output. 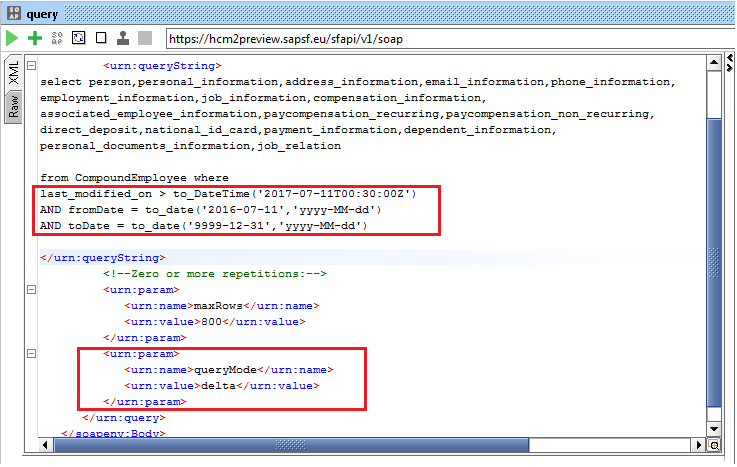 Compound Employee API output XML shows the inserted record. Please note, for the portlets email information and phone information, if one amends an existing record by changing the phone type ( or email type) – for example, personal mobile changed to business mobile ( or personal email type changed to business email) – SF deletes the old record and creates a new record for the changed phone type and email type. 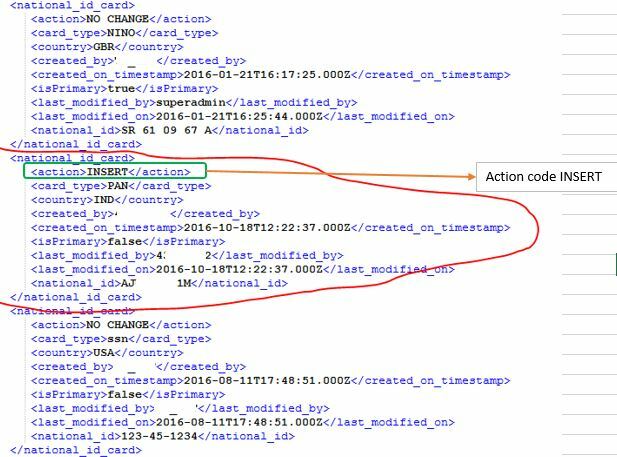 So after the change, in the query 2 records will appear one with action “DELETE” and one with action as “INSERT”. As mentioned in the beginning, there are multiple effective dated portlets for which record can be deleted. I have considered the address portlet in this example. 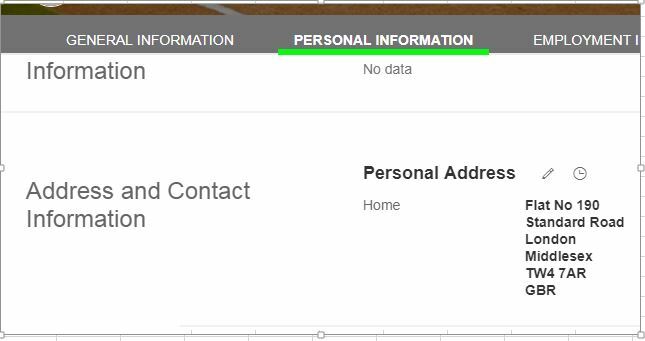 When a new Home address is inserted, data in SF screen appears as below. 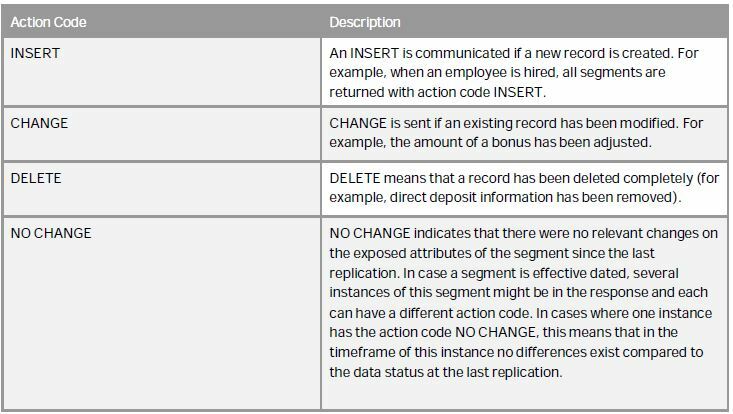 There are few other scenarios where manager/HR ops can delete records ( e.g global assignment, termination record), for those scenarios as well it is possible to retrieve the deleted data using the compound employee API in delta mode. On next run ( 18/11/2017) , API wont report this insertion or deletion. Thanks for the very useful blog.! Good Blog Biplab, thanks for sharing your learning.